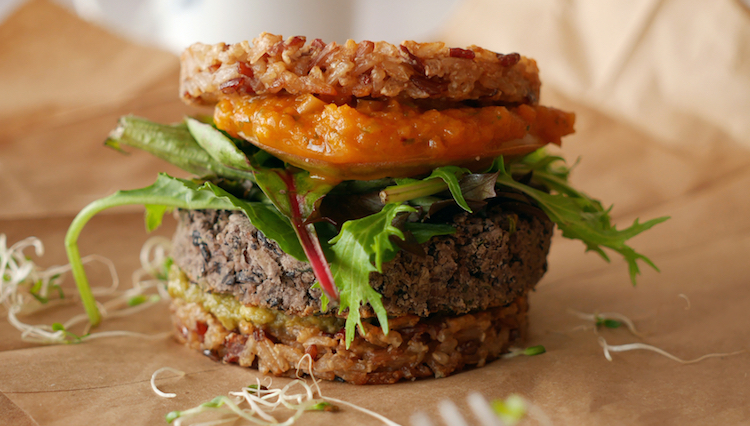 Going meat-free has never been this easy. 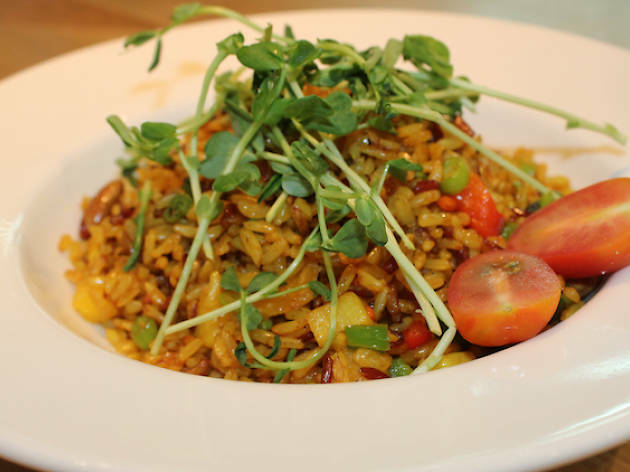 Here are some of the best plant-based meals available on our island. There's more to vegan and vegetarian grub than a boring uninspiring mountain of leafy greens and raw vegetables. 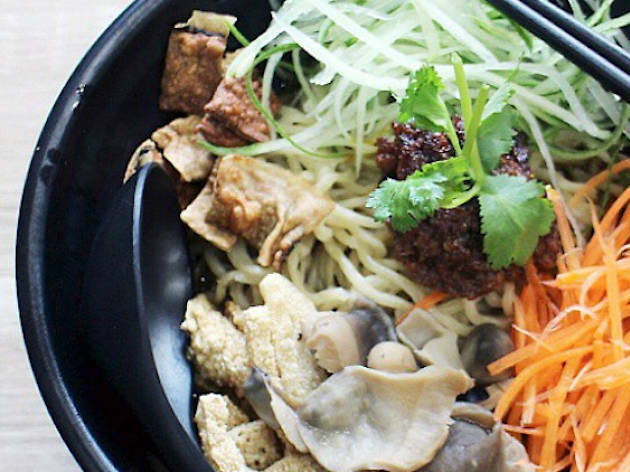 Whether you have dietary restrictions or just prefer to eat more greens and grains, these restaurant kitchens in Singapore are churning out wholesome meals that are completely meat-free without compromising on taste. Far from sad salads and countless carbs, these spots in town pack flavour and character into plant-based dishes. With cuisines ranging from from Korean and Peranakan to Japanese and Italian, vegans and vegetarians have tons to choose from. Time to ditch the bland salad life! 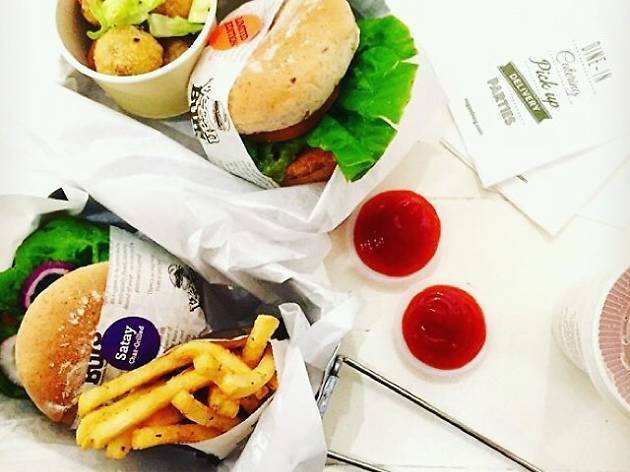 Right in the industrial estate of Changi, you can find this eatery that serves all things plant-based on the menu. Enjoy a tofu scramble on toast ($8.90) for brunch or something more substantial like a Buddha Bowl ($9.90) which comes with all the good stuff like quinoa, roasted veggies, cherry tomatoes, tofu and more. 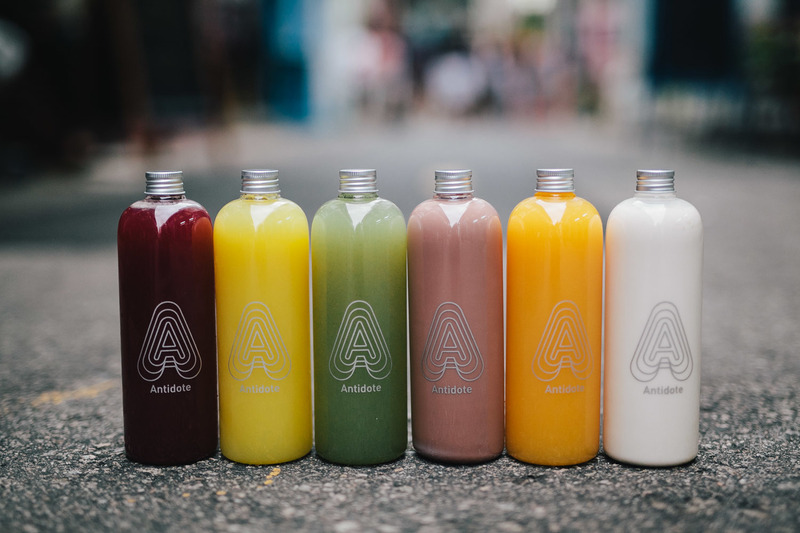 For a sweet treat, check out their selection of acai bowls (from $7.90) and juices they have in-store. 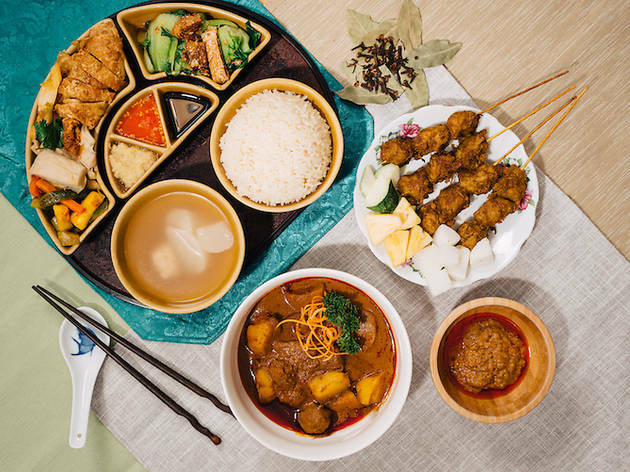 This Michelin Bib Gourmand winner on Peck Seah Street serves up a curious mix of Thai and Peranakan vegetarian dishes. 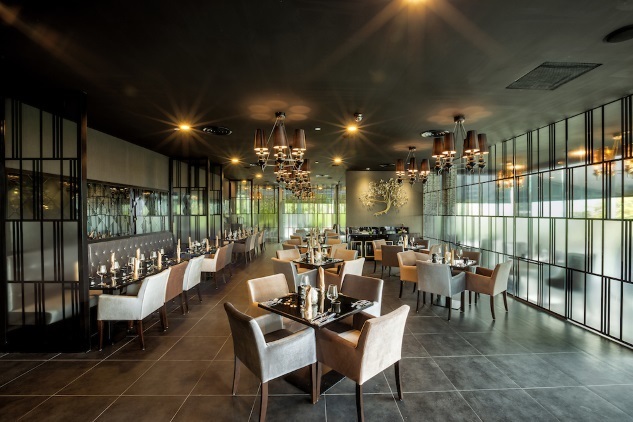 Its recently refreshed interiors sport emerald green walls, more seats and a better ventilation system – all for your dining pleasure, of course. 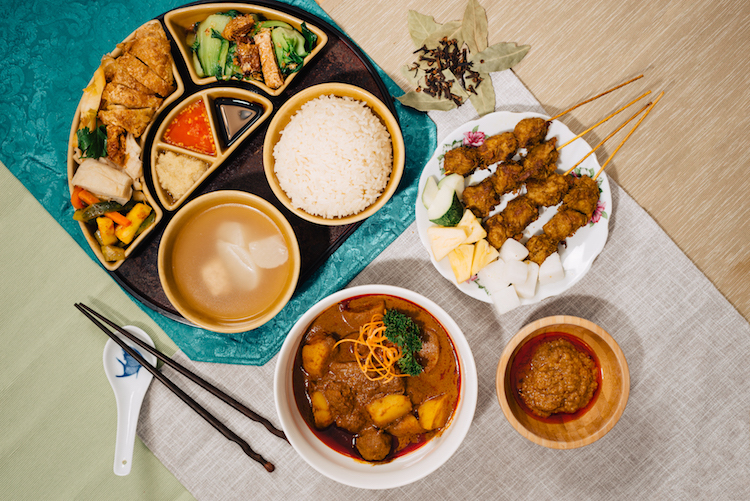 Order a bunch of dishes to share – but be sure not to miss the Nonya curry ($21). 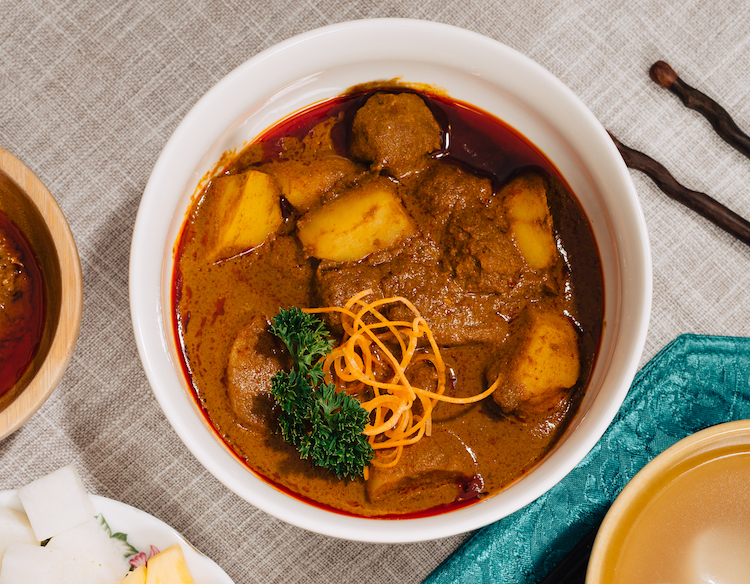 The hearty Peranakan style curry is served with minced mushrooms that resemble meatballs and potatoes. Other vegetarian takes on zi char staples include sweet and sour ‘pork’ and crispy handmade yam rings stuffed with capsicum, celery, cashew nuts and king abalone mushrooms. 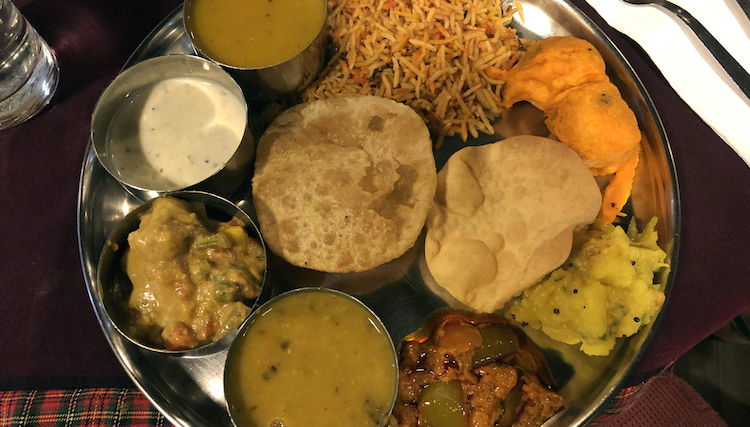 The history of one of the city’s oldest restaurants stretches back to 1924, when a Brahmin family opened up a joint along Selegie Road serving traditional Indian vegetarian dishes. 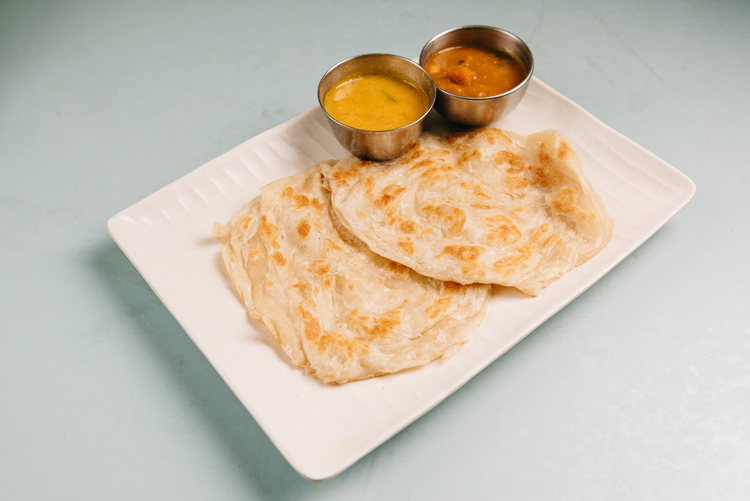 That original branch is still dishing out all manner of flatbread and curries, but now it has four sister outlets, thanks to the late MK Ramachandra. The second-generation owner – and well-documented cat lover – is responsible for transforming his dad’s restaurant into the chain it is today. 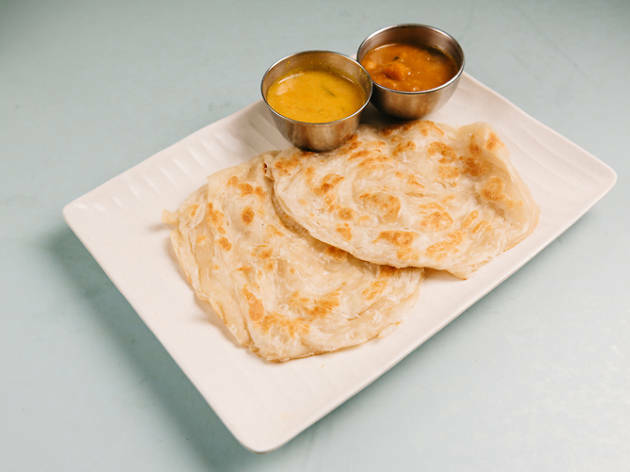 On the food front, the prata ($4.50/ two) is a safe bet, but our pick goes to the onion rava masala thosai ($5): potato curry wrapped in a crispy shell of the fermented pancake that’s studded with onions. At Kailash Parbat Restaurant, its interiors are as busy and chaotic as its menus. But don't be overwhelmed by the sheer number of choices, here's how to narrow it down. Among its signature dishes, the chole bhatura ($11) is a hands-down favourite while the restaurant's chickpea curry served with puri is spicy yet sinfully good. Other favourites include the Punjabi Samosa ($7) which is stuffed with potatoes, chickpeas, chopped onions and coriander. Franchise or not, we like the basic-but-effective Komala Villas, which has been open since 1947 and has branches on Race Course, Buffalo and Serangoon Roads. 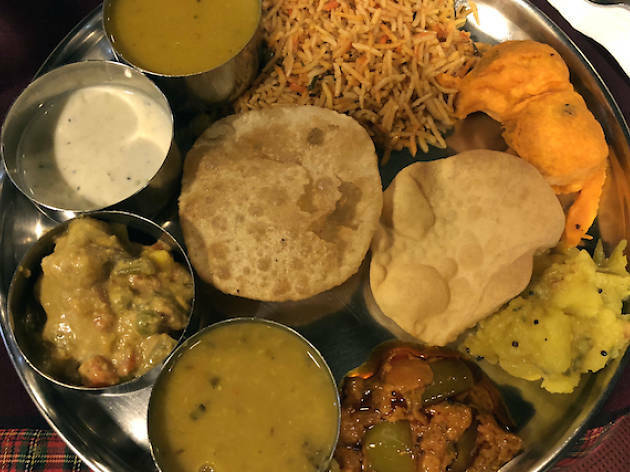 The food comes in hearty sets on metal trays – go for the whopping vegetable biryani set ($7), which comes with chapati, papadum, saffron rice, veggie curry, daal, raita and a whole range of pickles and sauces. 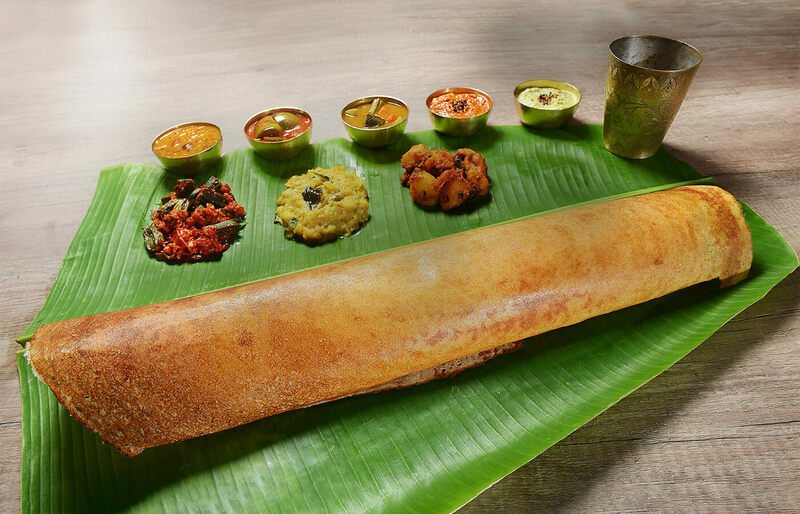 If you're there for breakfast, then the masala dosa is a must-have – a long crispy thin crepe stuffed with potatoes and onions and comes with an assortment of sauces. Who needs meat? 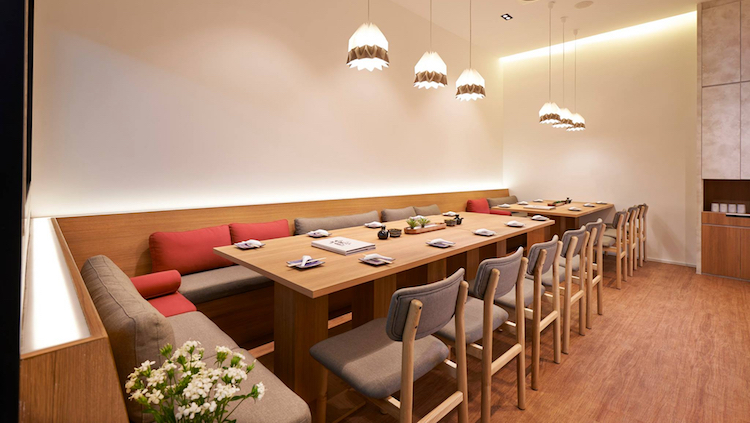 With three outlets under its belt, Elemen looks to the culinary realms of East and West to breathe new life into boring vegetarian dishes. Devoid of mock meat, the restaurant’s intercontinental menu offers people-pleasers of pizzas and pastas, but we urge you to give the Asian delights such as shitake mushroom-stuffed purple rice rolls ($15.80), blue flower tofu with black truffle wild rice ($15.80), and double-boiled Maca soup ($8.80) a try. Stay for dessert – Elemen offers the likes of chilled purple rice porridge with coconut ice cream ($6.80) and double-boiled lemongrass with peach gum ($6.80). TRY Five- ($26.80), eight-course ($32.80) sets – this way, you get to try a little of everything Element has to offer. 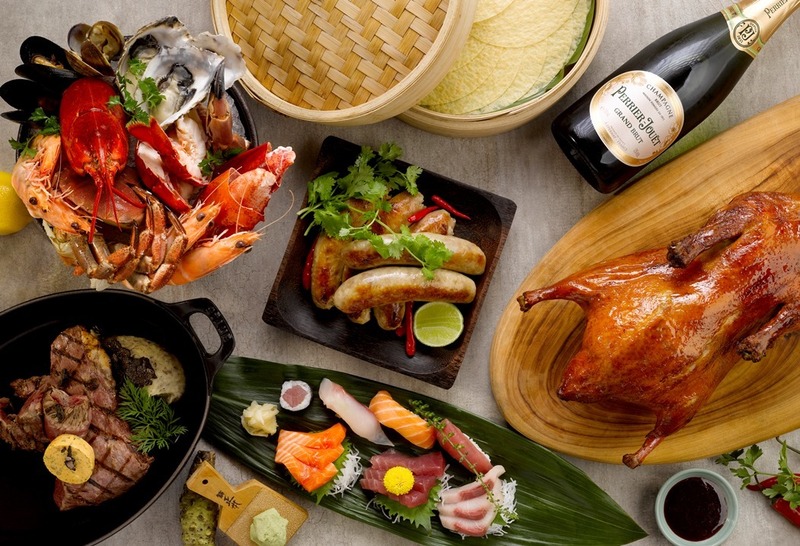 Among Singapore’s more unique dining experiences, Annalakshmi is a vegetarian buffet of all you can eat, for whatever you wish to pay. Its Havelock Road outlet serves a spread of home-style cuisine and is completely volunteer run. 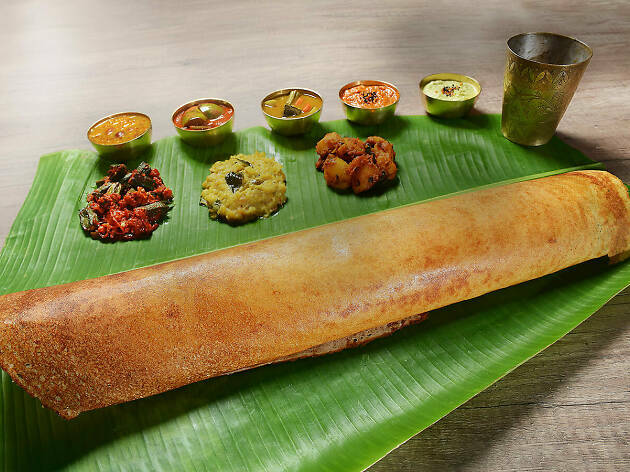 Stuff yourself with servings of briyani, poori, appam, vegetable stew, potato palya (dry, spiced potatoes) and cauliflower curry among a slew of other north and south Indian home-cooked dishes. At dinner time, you can also order off a menu. 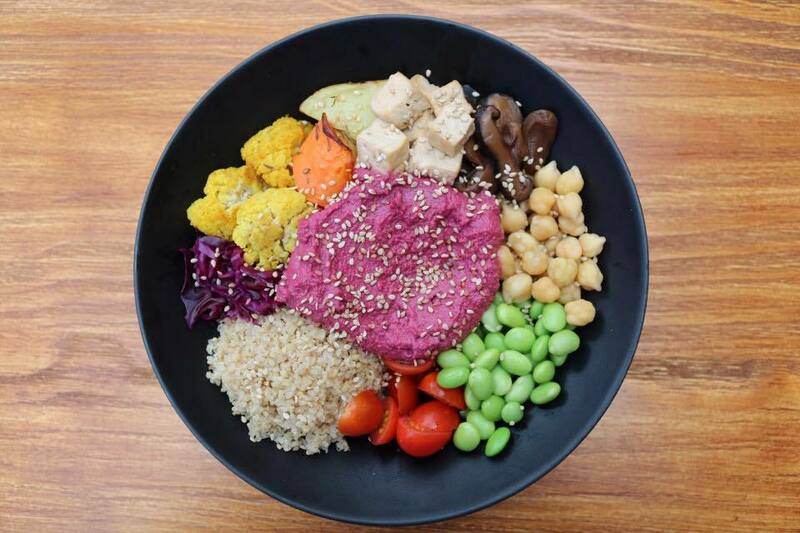 All three of its outlets (there's one at Orchard Central, South Beach and Square 2) boast zen-like interiors and a menu of Asian and Western dishes that are all vegetarian, mostly vegan and some even gluten-free. 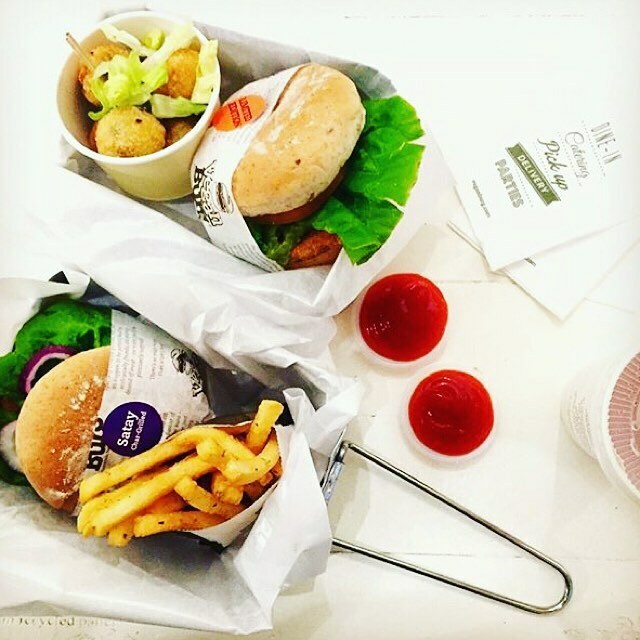 Ingredients are sustainably sourced and largely organic. 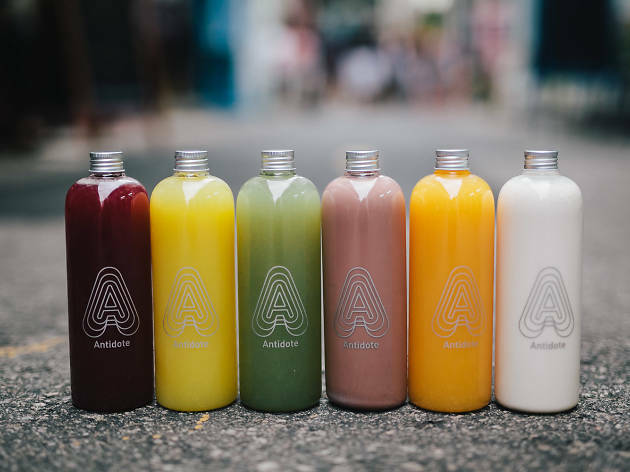 Even its choice of beverages offer plant-based ingredients, like the Ginger Beetroot Kefir ($6) and dairy-free drinks like a Vanilla Quinoa Milk ($6.80). 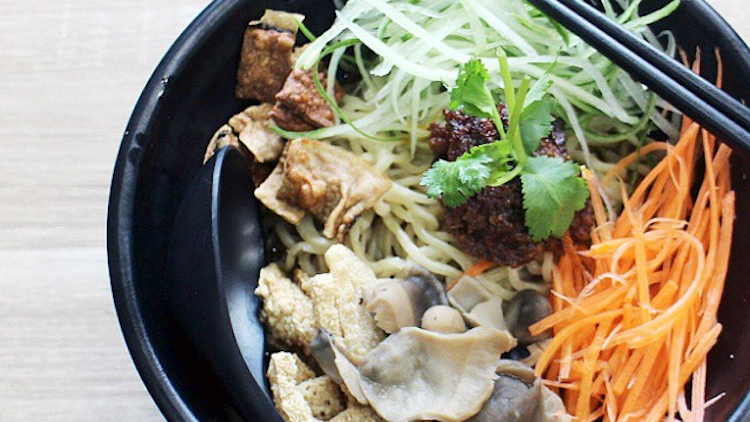 This Joo Chiat café does vegan versions of popular local dishes. The Nyonya mee siam and nine-spiced mee soto ($6.90 each) are made with vegan rempah, vegetables and real-looking mock meats with spot-on flavours. The nasi campur ($12.90) is a good-enough-to share plate of unpolished rice served with greens, acar, tofu scramble and a mock meat rendang. 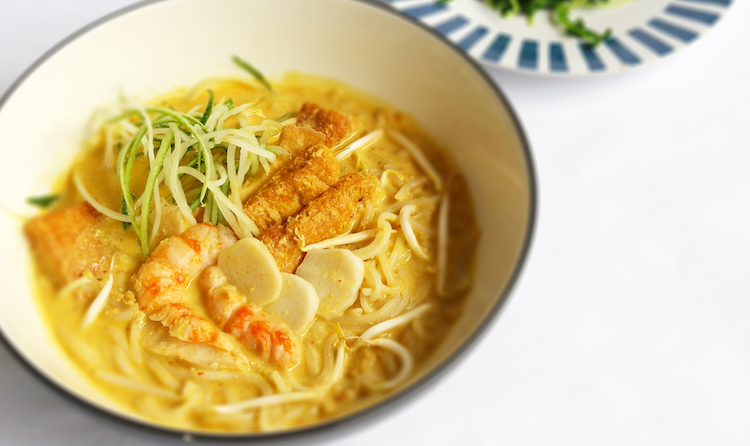 TRY The Vegan Laksa Lemak ($6.90) – it's the most popular order at the restaurant. The dish is creamy, with both coconut and soy milk and filling with the addition of tofu puffs, and vegetarian prawn and fish cakes. Hip, cool and raw – that's what this eatery at Keong Saik Road is all about. Its evolving menu of vegetarian, mostly-raw, plant-based food is clever and creative. We recommend the Cuban Burger ($20), a black bean patty slathered with salsa and guacamole in a brown rice bun, and for dessert go for its raw cheesecake ($15) that serves cashew cream on cashew crust. The dishes don’t attempt to mimic the ‘real thing’, and are delicious for its wholesome, earthy flavours. TRY The Avocado Kimchi Rolls ($15), which has almond ‘rice’ that adds a pleasant nuttiness. Make sure to taste its house-fermented kimchi too. 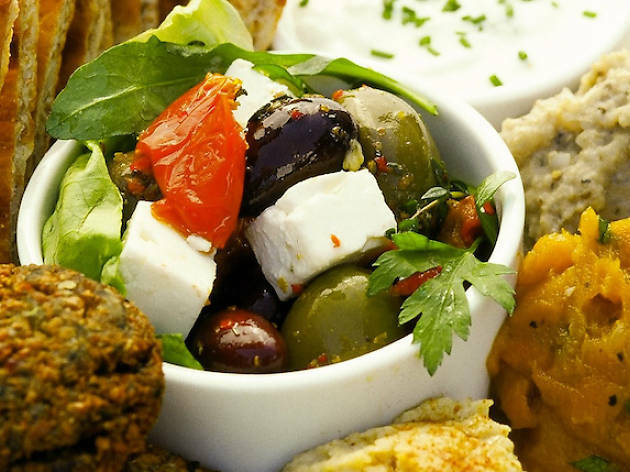 Established over a decade ago, this veggie restaurant has been serving upscale, vegetarian Middle Eastern fare ever since. 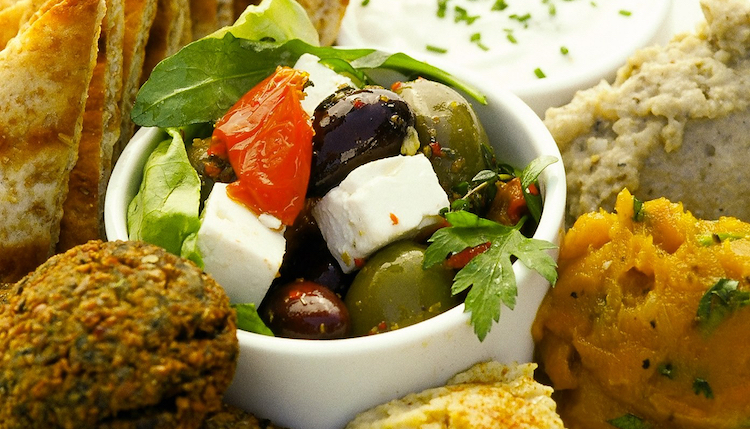 It whips up ample share plates like the Mezze Platter ($29) with hummus, pumpkin and carrot dip, baba ganoush, tzatziki, falafel and ciabatta bread. TRY The good value three-course lunch set. For $28 you get soup/salad, dessert and mains like the Mediterranean wrap with smashed avocado, feta cheese and portobello mushrooms. 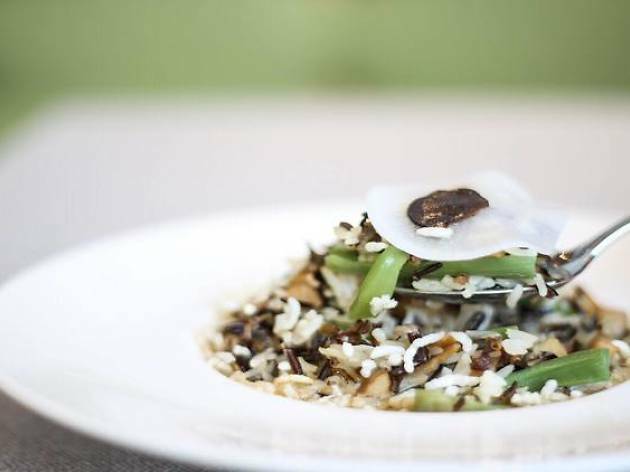 At Joie (pronounced ‘joy’) meatless dining is the mantra. 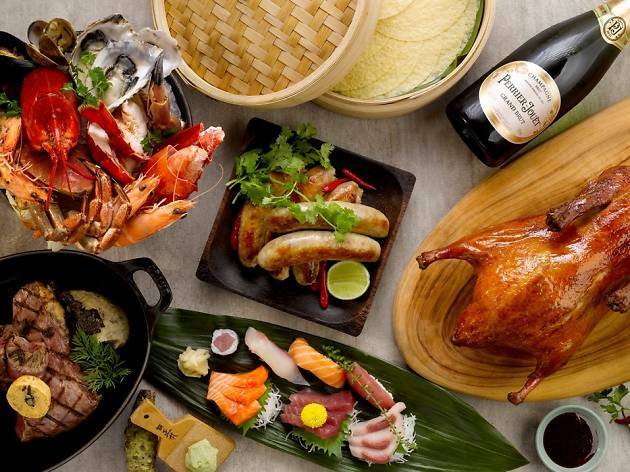 Six and seven-course degustation menus present Japanese-European dishes that feature vegetables, fruit and herbs. 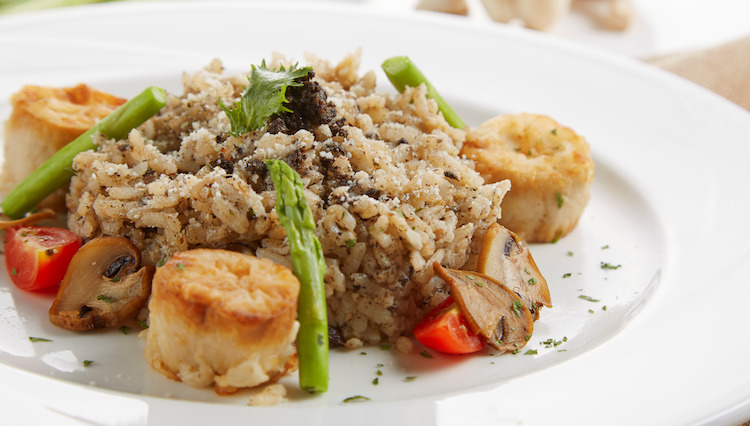 Think: a Wild Rice with Eggplant Terrine and a grilled Monkey Head Mushroom Steak, served on a hot lava stone. Prices are very accessible, at $38.80 per person onwards. TRY Pair your meal with warm herbal, and fruit teas. The staff are happy to make recommendations. 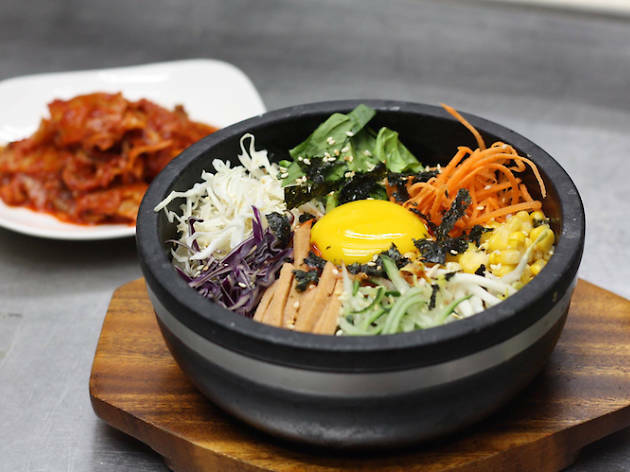 If you cannot think of Korean fare without barbecued meats and fried chicken, a visit to this meatless Korean restaurant will change your mind. Here, sauces and bases like kimchi and gochuchang are made from scratch and ingredients are flown in from Korea to keep flavours authentic. 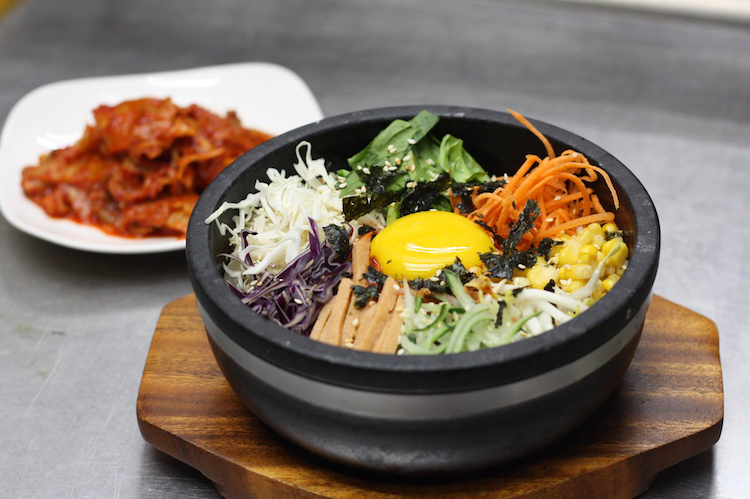 Its dolsot bibimbap ($9.90) tastes decidedly healthier as it's packed with raw veggies and the jajangmyeon ($10.90) is still umami-laden even though it's meatless. Note that the restaurant uses eggs and dairy in its dishes. TRY The kimchi pancake ($3.90), which makes a great side to any main you order. 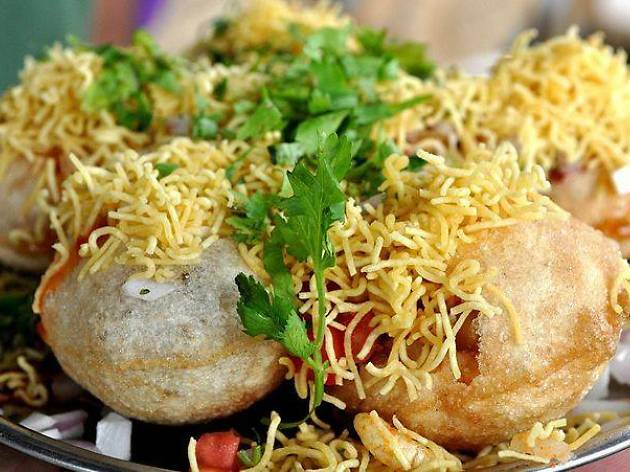 With its numerous outlets islandwide, you are never too far from a quick and convenient vegetarian meal. 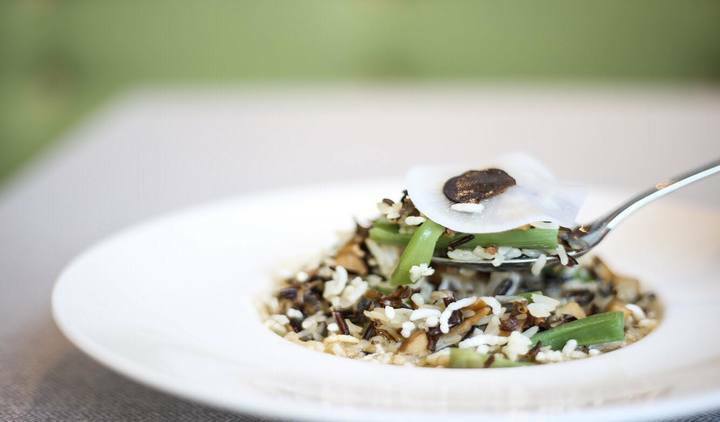 It’s Asian fusion food and the core ingredients include soybeans, konnyaku, mushrooms and vegetables. 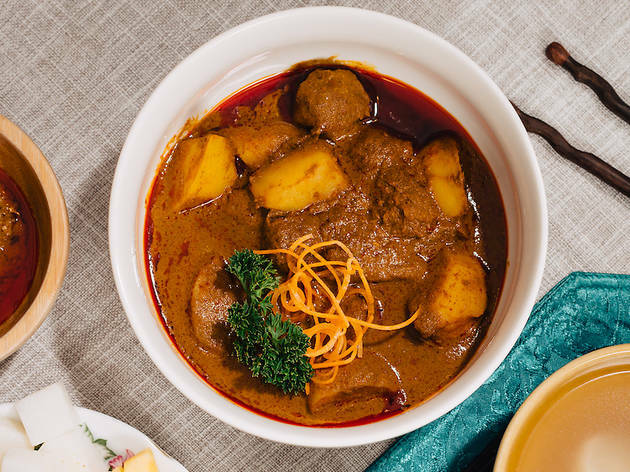 The clever ways in which it imparts ‘meaty’ flavours are by using gong bao mushrooms to replicate beef in rendang, and mock prawns and fish balls are made from konnyaku jelly. The food here is also onion and garlic free and there are vegan options too. TRY The vegan laksa ($7.50). 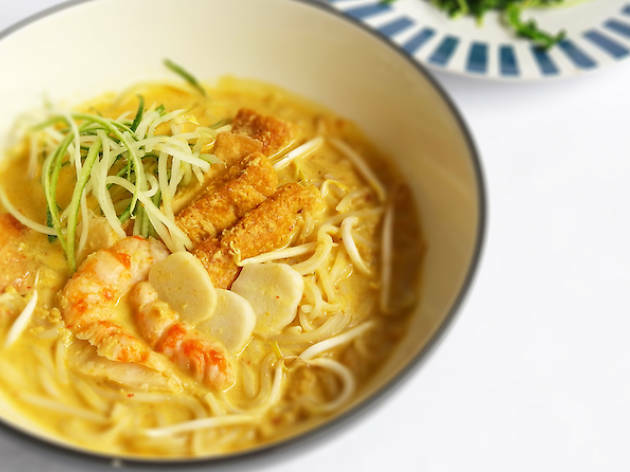 It's a hearty bowl of straw mushroom, konnyaku prawn, tau pok, noodles and bean sprouts. Boiled with blue ginger, the dish is extra aromatic. Nutrient-dense whole foods served in creative ways are what you can expect at this Taiwanese chain’s Singapore outpost. 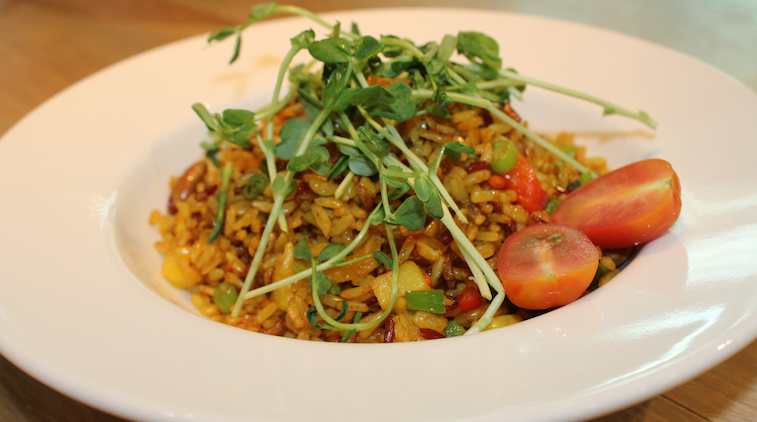 Sufood’s menu is peppered with fruit and vegetable salads, hearty soups and Italian-inspired mains with Asian touches. There's its Star Pizza ($17.80), which has both cream cheese and wasabi tomato sauce. 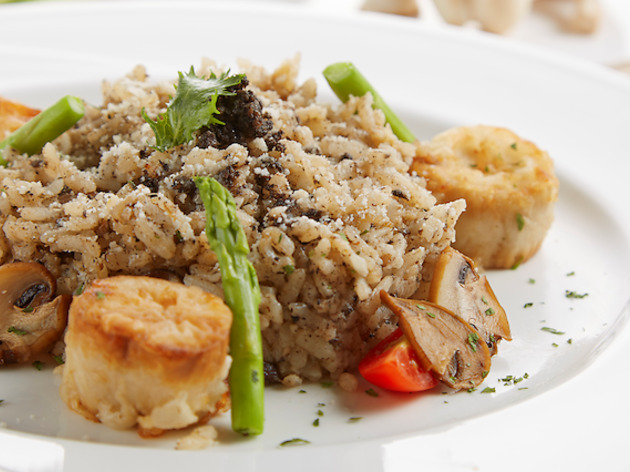 TRY The five-grain rice with mushrooms and black truffle ($19.80) with its nutty flavours and heady truffle aroma, is highly recommended. 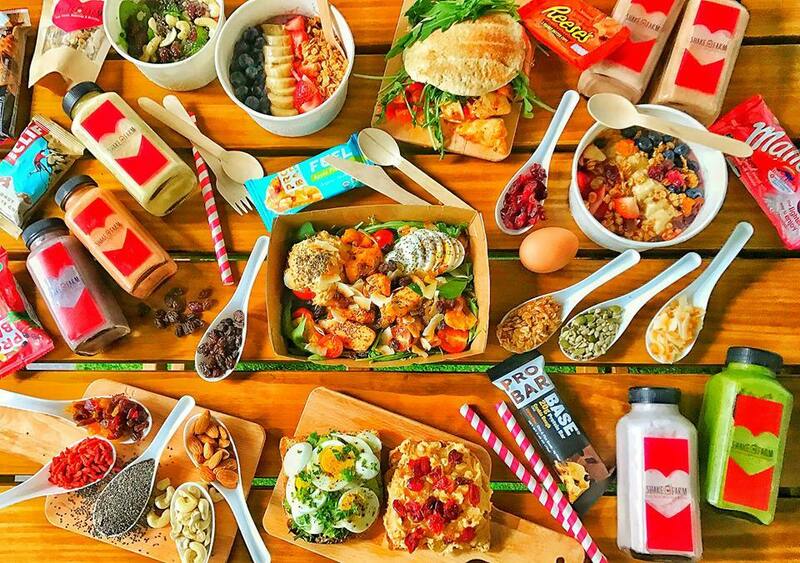 A 100% vegan restaurant housed in a boutique gym? HRVST at Kilter Avenue had us expecting raw bowls and hipster yogi food, but what came out of its kitchen are boldly spiced adequate plates of yummy grub. Sure, it makes King Oyster mushrooms resemble scallops and flavour it with garlic snow ($12), and its matcha ice cream is made with coconut cream – but the combinations all work and nothing is superfluous. There's even an outdoor terrace with a bar and a green edible garden that supplies the resto with herbs. TRY Pumpkin Gnocchi ($16). A bowl of tom yum broth with shimeji mushrooms, baby corn and coriander oil. 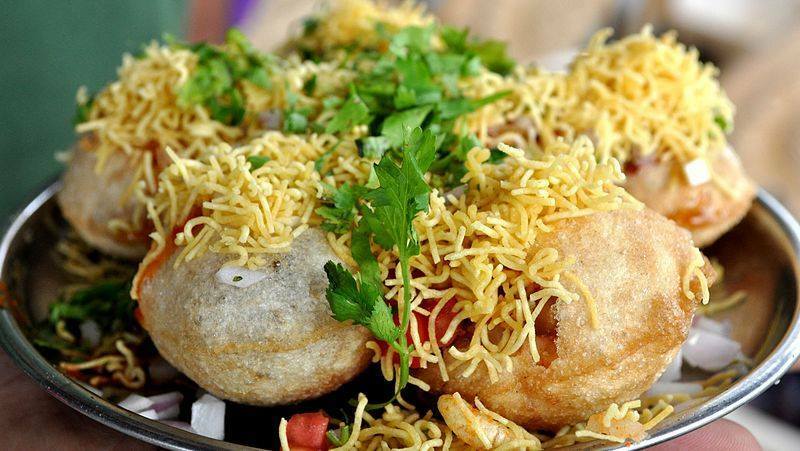 For hearty vegetarian food that hits the spot, head to Lotus Kitchen. 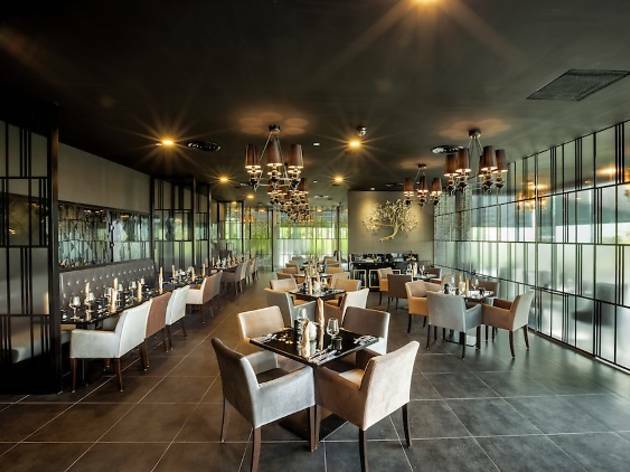 The varied menu has everything from steamed and fried dim sum to soups, la mian, rice and stir-fried dishes. Admittedly, a lot of its dishes use mock meats, but the variety is ample so if you prefer clean, fresh veggies – those are there too. The crystal vegetables dumpling ($3.90) and fried carrot cake ($4.80) are must orders. 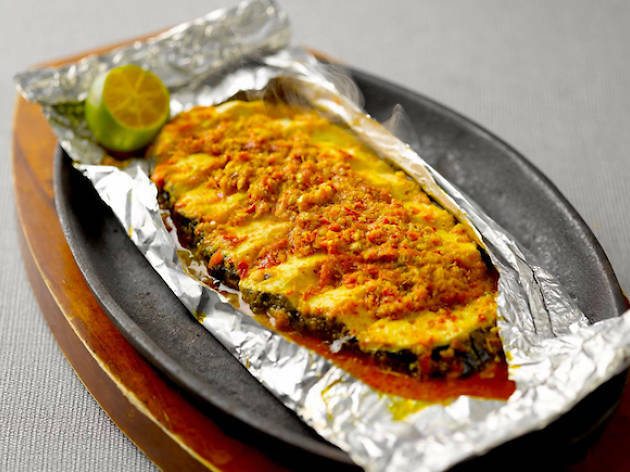 TRY The spicy grilled oat slices on a hotplate ($18.80). 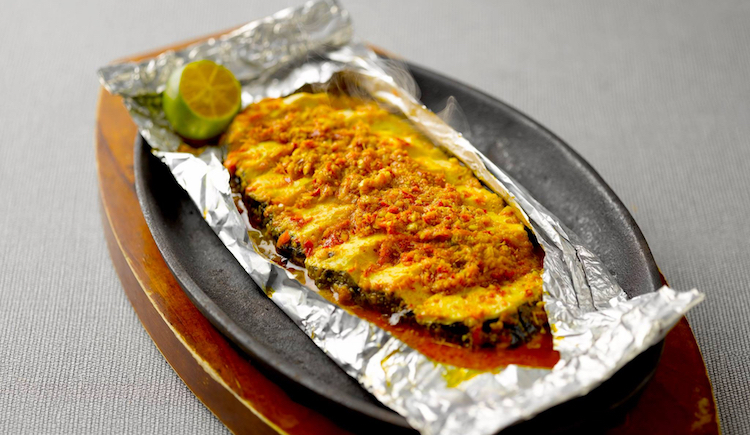 It uses oats instead of mock fish to soak up the spices. 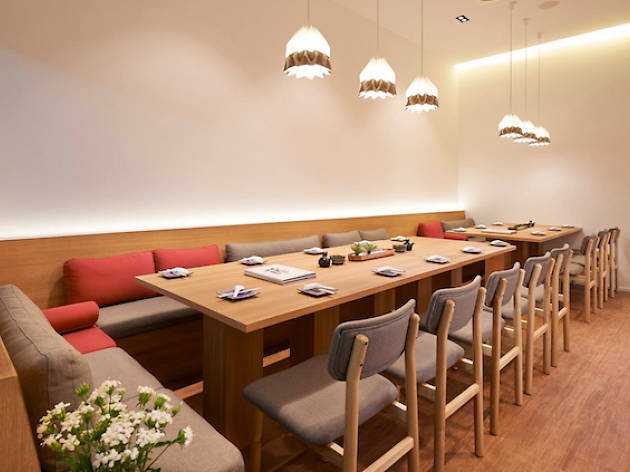 Unlike any Japanese restaurant in town, Teng serves vegan sashimi. Try its 5 kinds platter where prawn, salmon, squid, scallop and tuna are served moriawase-style – all made of konjac jelly but look exactly like the real thing. The rest of the menu is packed with salads, mains, noodle and rice dishes and delicious appetisers like a mushroom gyoza ($9). TRY The avocado maki ($18), which comes packed with generous amounts of avocado. 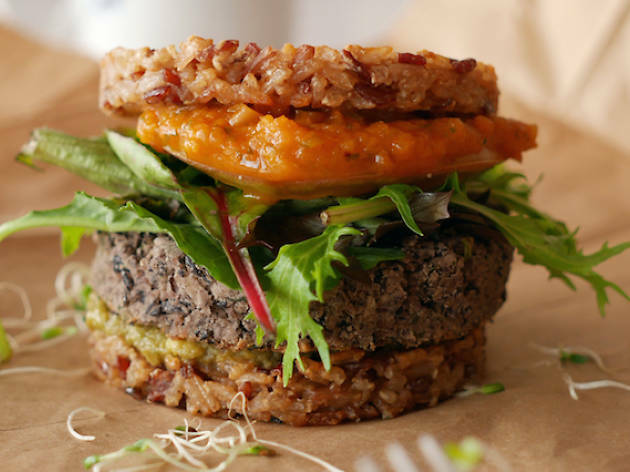 joint doesn’t let the plant-based ethos limits its range, instead, you’ll be offered a variety of seven burger mainstays, plus other seasonal offerings. Other sidekicks to complement your meal include vegan hot dogs, crispy fries drenched in awesome sauces, and even char0grilled brocooi sticks if you’re laying off on carbs. TRY The best-selling Smoky BBQ Burger ($11.90), featuring a bbq sauce-clad plant-based patty, lettuce, tomatoes and onion rigns cushioned between wholemeal buns. For something that hits close to home, opt for the Char-Grilled Satay Burger ($10.90) that has nutty satay sauce slathered on its plant-based patties. 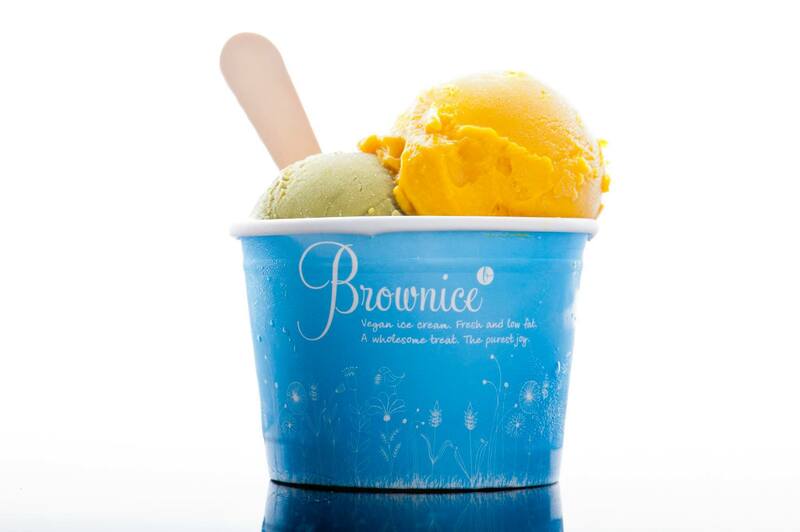 check out Brownice’s vegan savouries such as pasta and pizza, topped with gooey cashew cheese! 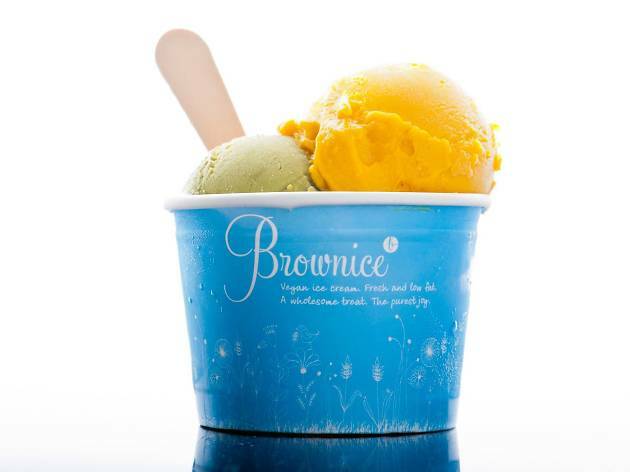 TRY Obliged to single scoop ($3.50), double scoop ($6.50), triple scoop ($9) options from the 16-flavour range of vegan ice cream, including Nutella and matcha. 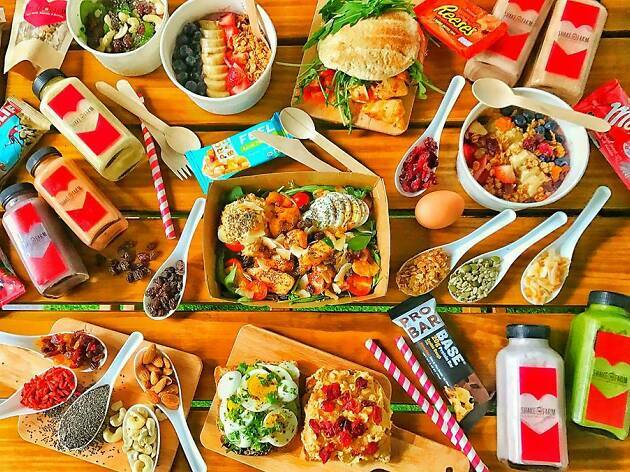 Looking for more healthy restaurants?